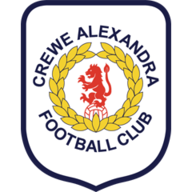 Highlights from the Sky Bet League One clash between Crewe Alexandra and Shrewsbury Town. 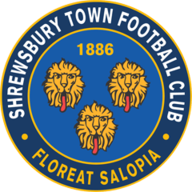 Shaun Whalley struck a last-minute winner as Shrewsbury won for only the second time in nine games as they clinched a 2-1 success at fellow strugglers Crewe. After the sides traded first-half efforts from Larnell Cole and Ryan Colclough, Whalley, making only his second start of the season, swerved a superb effort past Ben Garratt to clinch a tight game. Cole gave Shrewsbury the lead with an 11th-minute strike which beat Crewe goalkeeper Garratt with the aid of a deflection. Ryan Lowe wasted a chance to level soon after when he prodded Marcus Haber's cross straight at Shrewsbury stopper Mark Halstead from close range. But Crewe were back on terms when Colclough took Lowe's pass and finished into the far corner in the 26th minute. Cole blazed Whalley's cross over and after the restart Halstead excelled when tipping a blockbuster from Colclough over and then turning around Lowe's free-kick. Substitute Jean-Louis Akpa Akpro drove against the near post with Scott Vernon failing to finish the rebound. And Lowe was inches away from finding the far corner as both sides endeavoured to win a potentially vital game, which the visitors did when Whalley let fly from 20 yards at the death.